Sleek vanities alone cannot achieve the tidy and well-organized look that you want your bathroom to have. You must install the right kind of storage units too. Euroline Kitchens Ltd is your destination if you are looking to design or remodel your bathroom with fine cabinets. As custom storage solution providers, we can design cabinets that help you make the best use of the space available in your traditional, transitional, rustic or modern bathroom. 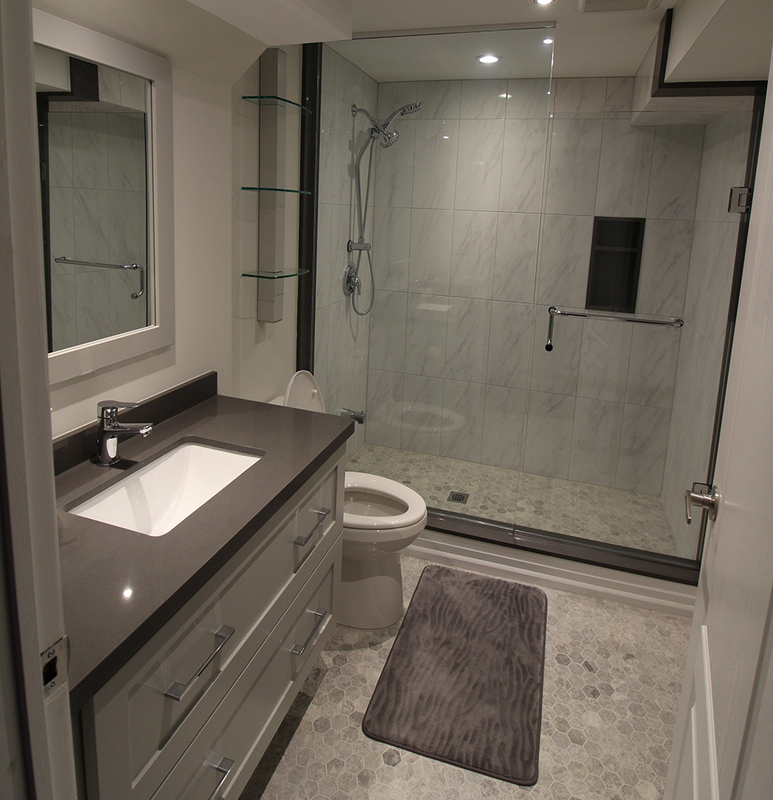 Get customized bathroom cabinets in Mississauga and the GTA at really affordable rates! Some bathrooms are not perfect squares or rectangles. Not to worry; we can create cabinets to fit odd-shaped or asymmetrical spaces. We can make low-rise easy-to-operate cabinets that can be used by a physically challenged person or by the most senior members of the family. We can install base cabinets or wall-mounted cabinets. Sizes may vary from 24 inches to 61 inches or more. Bathroom cabinets from Euroline Kitchens Ltd are space-saving, efficient and aesthetically pleasing. 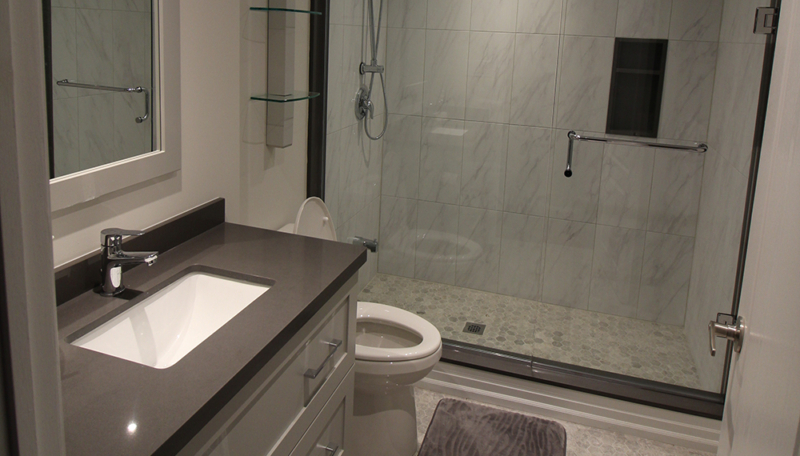 We ensure that the overall appearance of your bathroom is just superb (even to the most finicky critics). We have every solution for vanities, cabinetry, design, installation and modification. To read HOMESTAR reviews posted by our existing customers, click here! To do away with the cluttered sink-tops and shower ledges, we can create some smart and versatile storage units. Here are a few things we can do. We understand that limited space can be a major problem for some homeowners. Our cabinetry experts are always on the lookout to provide you with the most cost-effective design solutions so that everything is within your budget. We are available for a free consultation. Call us at (905) 828-1500 to discuss! Q. How to plan space-saving storage for a small bathroom? We can help you keep everything organized in a small space. Hangers, shower caddles and wall cabinets are some of these. For more tips read our blog post on five awesome storage ideas for small bathrooms. Q. I have a limited budget. Can I still upgrade my bathroom? We have renovation solutions for every budget. Call us for a free consultation. Q. Do you provide bathroom vanities to complement the cabinets? Yes, we provide customized vanities to achieve a well-coordinated look. Q. Do you offer free consultation? We offer a free consultation. We can also create a 3D design to give you a clear idea of the final layout.